Car-hailing apps are on a never-ending quest to recruit more drivers to cultivate a reputation of reliability. Lyft, Uber, and other startups already rely on regular people using their own cars to offer rides, but a new Lyft product called Driver Destination aims to unlock a new kind of driver: one who never would have driven for Lyft before. 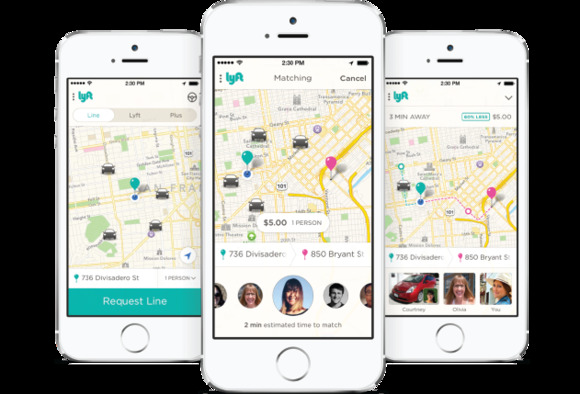 Driver Destination launched Tuesday as part of Lyft’s Line carpooling service. It lets drivers find one or two passengers to pick along their regular routes, like on the way to school or work, as an easy way to make money and reduce the number of cars on the road. Drivers simply enter their destination and choose to see requests that are only along that route. “By enabling Lyft Line with Driver Destination to and from work every day, you could earn up to $400 per month—enough to cover a car payment—and connect with interesting people who live and work nearby,” the company said in a Tuesday blog post. A Lyft rep said the feature is designed for people who normally wouldn’t drive for any ride-sharing app due to school or work commitments, and it probably won’t be used by a majority of the app’s regular drivers. But Lyft Line is catching on, at least in the two cities where it’s available. In San Francisco, more than 30 percent of Lyft rides are Line rides. The carpooling service just launched in Los Angeles, but the rep said the company is seeing a solid response so far. Why this matters: Becoming a driver for hire seems like a huge commitment, but Lyft might be able to win over a new crop of users with Driver Destination. The company’s focus on building out its carpooling service is also a feel-good contrast to rival Uber, which has its own carpooling product but is currently more focused on changing its negative public perception.